The Joint Space Operations Center will transition to a Combined Space Operations Center (CSpOC) during a ceremony at Vandenberg AFB, on July 18,2018, at 10:00 a.m. PST. In 2017, Air Force Gen. John E. Hyten, Commander, U.S. Strategic Command (USSTRATCOM), directed the Joint Force Space Component Command to transition the Joint Space Operations Center to a CSpOC. The transition to a CSpOC is designed to improve coordination between the U.S., allies, commercial and civil partners for defensive space efforts, and to enhance individual and collective space capabilities, thereby expanding overall multi-domain military effectiveness. 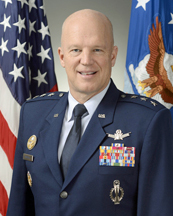 U.S. Air Force General John W. Raymond, Commander of JFSC and Air Force Space Command. Air Force Gen. John W. Raymond, Commander of JFSC and Air Force Space Command, will preside over the ceremony, and validate the CSpOC has met USSTRATCOM's Initial Operations Capability requirements. Conducting operations with allies and partners will improve space mission assurance, resilience and mutual security, broaden military relationships by leveraging capabilities, maximize effectiveness across all mission areas, and expand international partnerships in support of combined objectives. The CSpOC will direct, but is not limited to, the following operations: Missile Warning; Positioning, Navigation and Timing; Navigation Warfare; Optimization/Restoration of Military Satellite Communications; Electro-Magnetic Spectrum Awareness and Resolution; Theater Battlespace Awareness using Overhead Persistent Infrared; Environmental Monitoring; Theater Support Fires; Space Intelligence; Defensive Space Situational Awareness; and Space Defense. General Raymond said that space is a warfighting domain, just like air, land and sea. Strong alliances are vital, and the U.S. National Space Policy is clear on the importance of partnering with nations that share U.S. objectives to promote the preservation and long-term sustainability of the space environment. The CSpOC positions the U.S. and allied space forces to deter a conflict from extending into space, and should deterrence fail, to fight and win. The CSpOC will be essential to protecting, advancing and elevating our combined space capabilities, which fuel our country's way of life, our economy and our nation's security.